One of Uber’s top priorities this year is to improve its relationship with drivers. It released a new app for drivers on Tuesday – along with a video of its CEO beta-testing it in San Francisco by taking actual passengers for a ride. 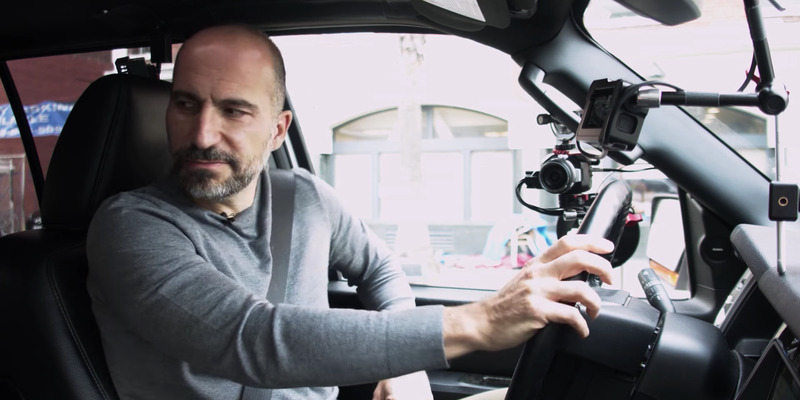 New Uber CEO, Dara Khosrowshahi, has made it a top priority to give the company a friendlier image – with riders, sure, but also with the Uber drivers that make it all work. At an event in Los Angeles, Uber said these kind of beta tests were to help Uber’s developers and management better understand and improve the daily driver experience. Sure, the video is a bit of a stunt. But the video still underscores the newer, friendlier face that Khosrowshahi is trying to present at Uber. At the very least, it’s a lot less confrontational than the last famous video of a Uber CEO in a car.